Have you advertised your Textbooks yet? 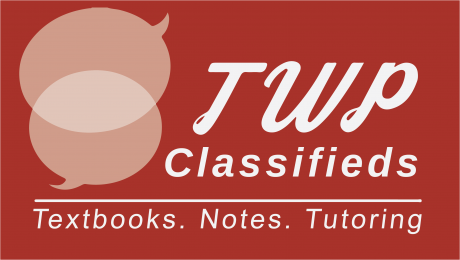 If you don’t know by now Together We Pass has launched a Together We Pass Classifieds section to help student sell their unused Textbooks, Study Notes, Exam Packs and Tutoring services. It’s a free service and very simple to use. Added bonus: We advertise a selection of our listings weekly to all our students. We want to help you even more and we have compiled a list of Do’s and Don’ts that will help you close your sale. Use the module code that your text is applicable to in your ad. It will help students find your ad faster. Use images of the Textbook or a tutor (can be animated or a picture of yourself) to help drive a sale. It is proven that visual products has a higher rate of success. Use Together We Pass Classifieds to your advantage! Now that you know the basic Do’s and Don’ts you are well on your way to posting an awesome ad and getting great feedback. 1 Responses on Together We Pass Classifieds"